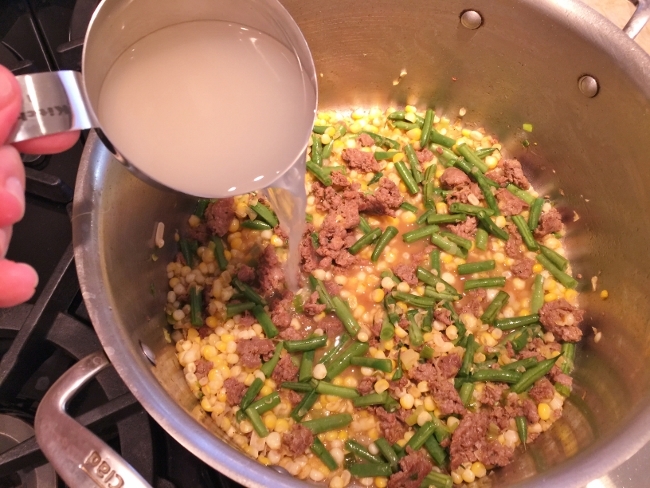 Merguez Sausage, Sweet Corn & Green Bean Pasta - Recipe! - Live. Love. Laugh. Food. 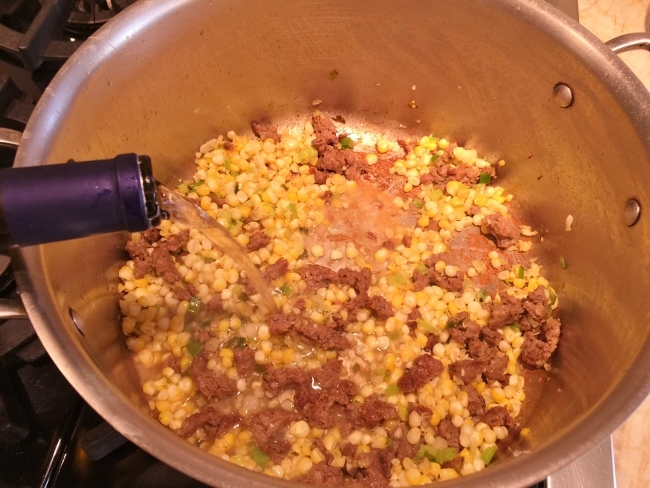 Merguez Sausage, Sweet Corn & Green Bean Pasta – Recipe! Merguez is a spicy North African sausage made of beef or lamb. 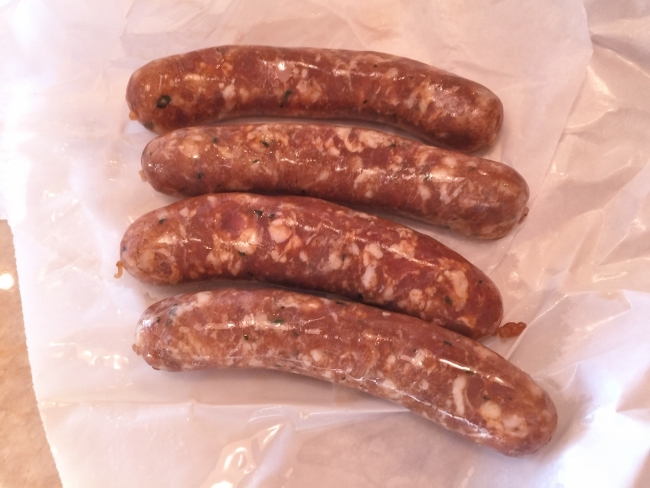 The flavors of Merguez are earthy with a hint of heat, which allow it to hold up when combined with other ingredients. In this recipe for Merguez Sausage, Sweet Corn & Green Bean Pasta, I use Merguez lamb sausage, which I prefer, because of its complex flavors that pair nicely with summer corn and fresh green beans. 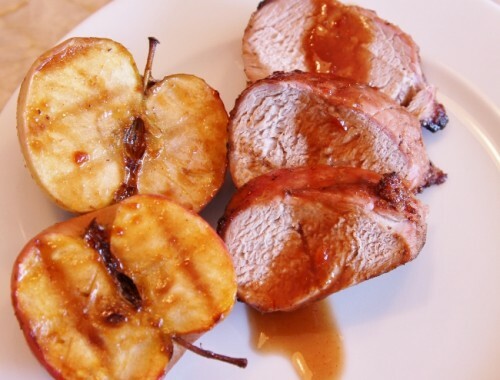 This dish is easy to throw together for a dinner party or family gathering because it feeds a large group. 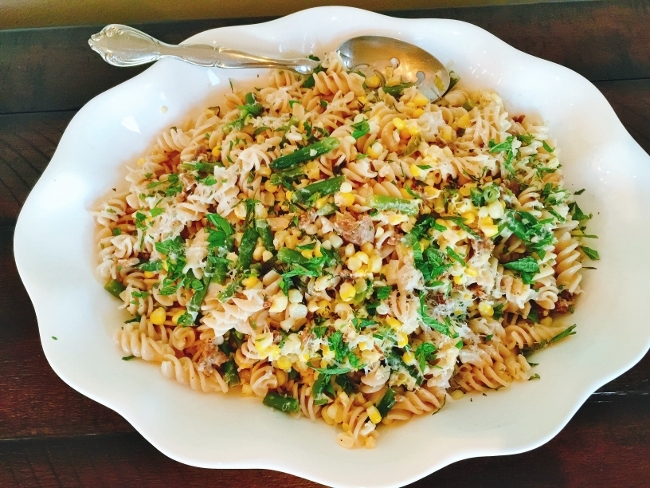 I like to serve this pasta dish with a fresh green salad and some garlic bread for a fun and festive family style meal. 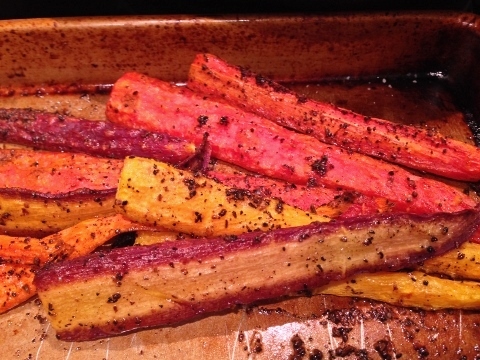 Also, it makes great reheatable leftovers for lunch or dinner during the week. 1. 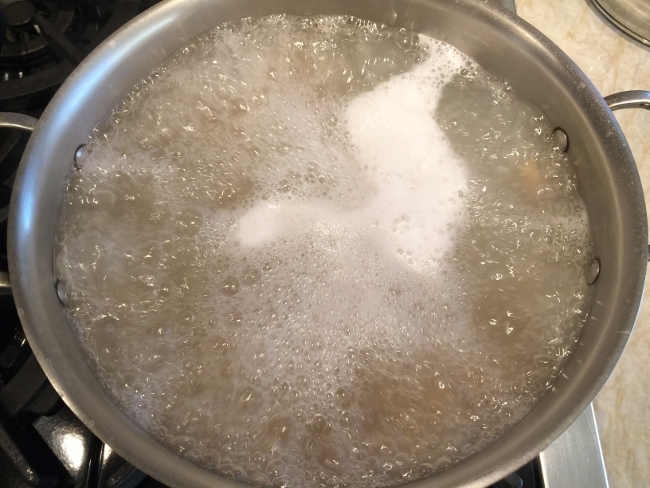 Boil pasta for 8 minutes, reserving 1 cup of pasta water. Drain and reserve pasta for later. 2. In a large pot, over medium high heat, add 2 tablespoons of olive oil. 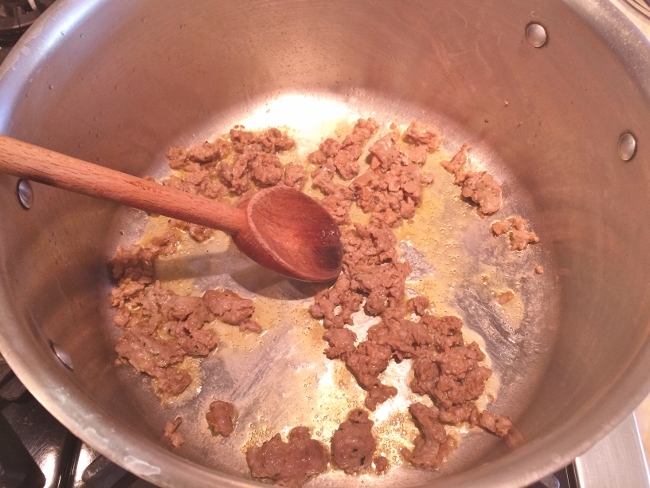 Remove any casings from the sausage and add it to the olive, breaking it apart with a wooden spoon. Cook the sausage until golden brown, about 5 minutes. 3. 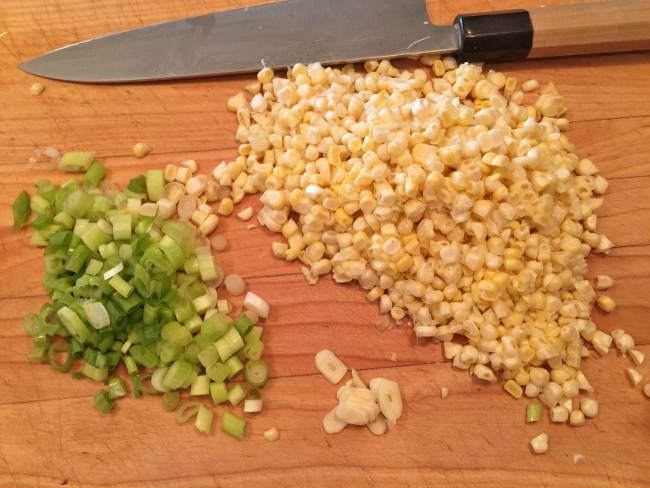 Cut the corn off the cob and slice the scallions and garlic. 4. 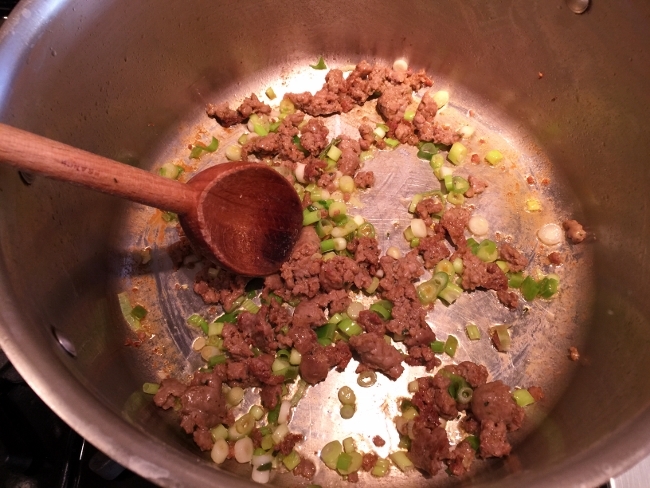 Add the scallions and garlic to the sausage and stir to combine. 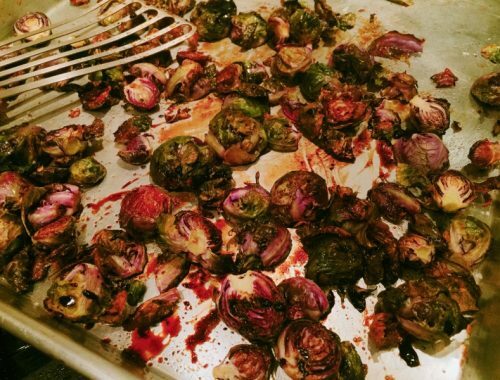 Continue to cook for 3 minutes. 5. 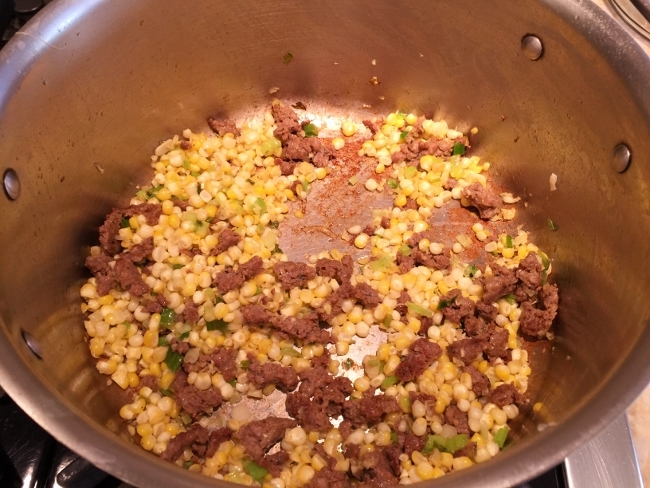 Then, add the corn and continue to cook for 4 minutes, stirring occasionally. Next, add the white wine and stir, scraping up any bits from the bottom of the pan into the sauce. 6. Then, add 1/2 cup of the reserved pasta water and green beans and continue to cook for 7 minutes, or until the green beans are crunchy tender. 7. 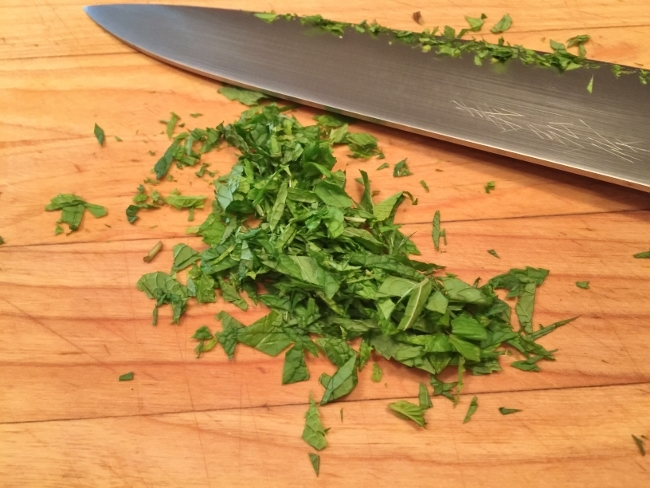 Rough chop the fresh mint leaves and set aside. 8. 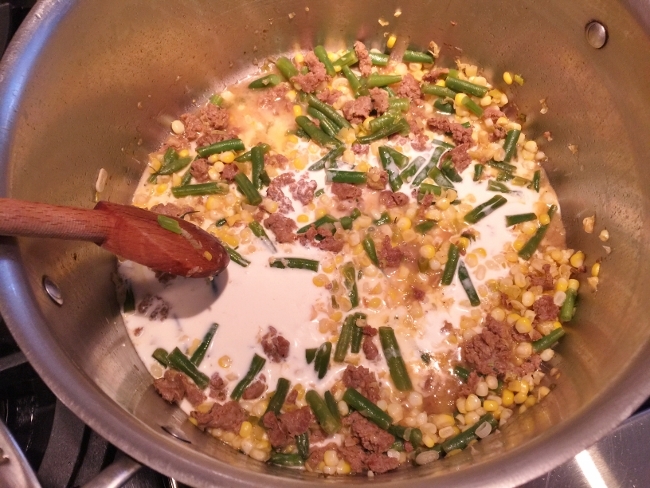 Turn the heat down to low and add the heavy cream, stir to combine and continue to cook for 3 minutes. Add all, but 3 tablespoons of parmesan cheese and stir. 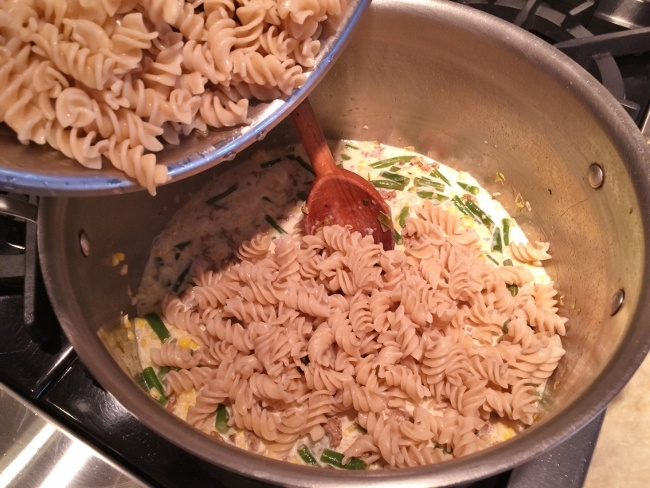 Add the cooked pasta and toss to combine all the flavors. 9. Salt and pepper the pasta to taste and pour into a large serving bowl. Sprinkle with the remaining parmesan cheese and chopped mint. 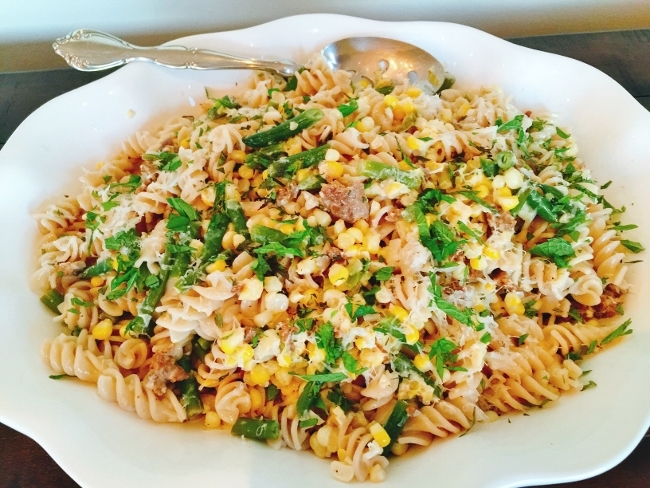 Serve the Merguez Sausage, Sweet Corn & Green Bean Pasta family style. Enjoy!